Mzuzu University (Mzuni) Students’ Union Representative Committee president Wazamazama Katatu says government should offer public universities startup capital to enable them engage in business activities that can sustain the institutions. Katatu said in an interview that once given business capital, some challenges rocking the public universities would be addressed. 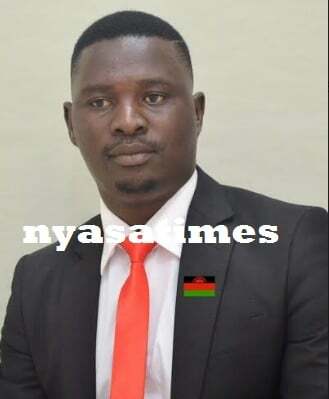 “It is saddening to note that some universities like University of Malawi have been operational close to five decades yet they are still sorely dependent on government for financial survival. This is very pathetic. “I would rather suggest that government should offer money in the form of a loan to invest in whatever venture they feel viable to bring extra revenue through profits,” he said. Katatu added that such a move is an ideal way of weaning them from perpetual dependence on government subvention. He further said if government had started capitalizing public universities way back, the burden of footing all bills accumulated by the institutions would be a thing of the past. “It is no secret that if the situation is left as it is, then as a country we should brace for more financial strains in public universities since the pressure for students’ enrolment is always increasing hence the need for critical decision making to arrest the situation,” he said. The students’ leader then hailed Lilongwe University of Agriculture and Natural Resources (Luanar) for leading the commercialization drive among the public universities. “What I am suggesting is in line with what Luanar is already doing. Public universities should not be parasites to government but should strive to find ways to foot their own bills and generate revenue for government,” he said. As one of the Public Reform Programme’s initiatives, recently government announced the decision to unbundle Unima’s constituent colleges so that some should be stand-alone universities with the aim of ensuring smooth running. Luanar, which got delinked from Unima few years ago, is engaged in commercial activities like running a filling station besides agricultural activities aimed at generating income for the institution.